We have built many small business websites for companies that are either just starting out or moving from a social media platform to a web platform. We handle the complete process from registering the domain to promoting the website online. Our bespoke websites are designed to reflect the ethos of the business we don’t use templates we build from the ground up. Boonwag is a website design agency based in Horsham, West Sussex. We specialise in bespoke website design, website marketing and website video productions. What should you expect from a website? All of these are valid reasons why a small business would want a website. The question is, how many web design agencies actually deliver all of the above? 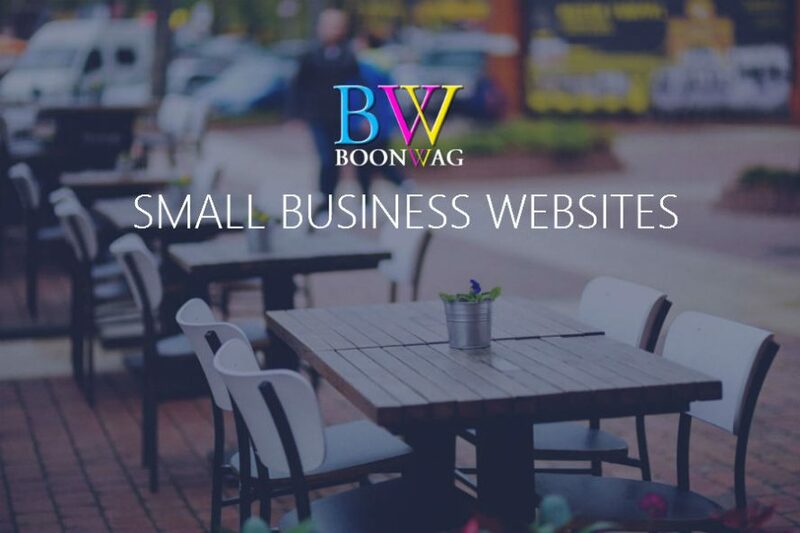 At Boonwag we provide our clients with affordable website solutions enabling them to increase the exposure of a website over time. However, the starting point is always a solid well designed website. To often a website is thrown together with little thought given to the customer journey or structure. What is the perfect outcome for a visitor? Are answers being provided to customer concerns? Does the mobile version work as well as the desktop version? How are the competition doing it? How can we do it better than the competition? These a few examples of questions that should be considered prior to any development of a website. We believe that no matter what size of business, a website should act as a sales tool. A well designed website will not automatically land business by itself but it will ensure that the efforts of any future marketing activities are rewarded by being ready to convert potential customers into customers. Small business shouldn’t mean small website. We don’t look at the size of the business we look at the business owners. We understand that small businesses have less of a marketing budget than their larger counterparts but that doesn’t mean the aspirations are not the same. Our small business websites are built using the same framework as all of our website. We adopt the same approach to small business websites as we do larger websites. In fact small business websites can achieve far better results, in terms of search engine rankings, than larger websites due to a specific focus within the company. If you have a small business and need a website, please get in touch with us. We offer both standard and monthly payment plans.